Above: My family home. 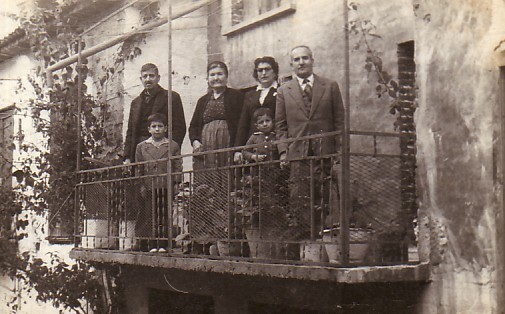 From left, they are: my father, Kostantinos; Kostas Glezellis (Chris' son); my mother, Victoria; my sister, Eleni (Glezellis) and her husband Christos Glezellis. 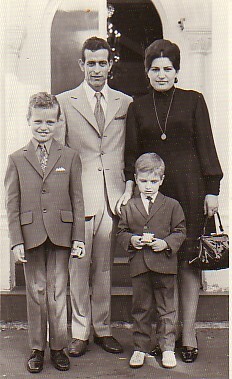 Above Middle: My father, Kostantinos and I. 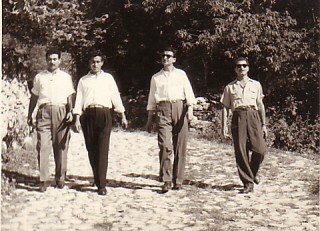 Both photographs were taken in Athens (1961). 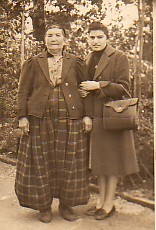 Above Right: My mother, Victoria, with my wife, Asimenia. 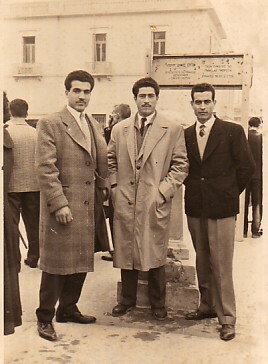 Above: With two school teachers, Pananis and Tsoukalellis. I am second from the left. Above Middle: For six-seven years, I was invloved with Kallitehniko Tmima Anagnostirio Agiassou where we staged many plays. 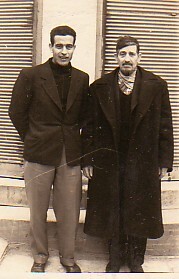 In " I Tihi tis Maroulas", I am playing old man Linardo (left) and opposite me is Sousamlis. 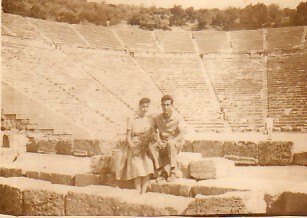 Above: Epidauros, 1961. With my wife, Asimenis (nee:Tzaneti). Above Right: Piraeus. My brother, Panagiotis (middle) is migrating to Australia. Above: My wife, Asimenia, our sons, Kostantinos and Mihalis, and I. 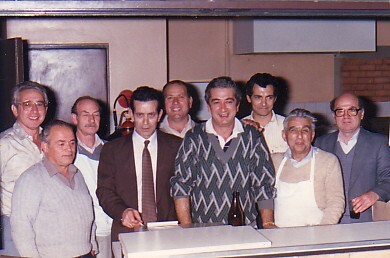 Above Right: As President of the Progressive Agiassos Association (1985-90)- with my Committee.